One of my parenting goals is to raise money-smart kids. When my girls leave the nest, I want them to understand the basics of how money works in the real world and have them start out their adult life on the right foot. I don’t want them to learn the hard way about money (or lack of!) like me. Thankfully now I know a lot more than just “money doesn’t grow on trees” like my dad always said, but it took me years to get to this point. My job is to do my best as a mom to teach my kids about money and get them started on developing good financial habits. My girls both received allowances. Olivia doesn’t anymore because she is working, but Bridget, my youngest daughter, does. I pay a flat rate every week and she has a set number of chores to complete to earn her keep. Some of my friends pay by the chore completed; they assign a specific monetary value to the chore. At the end of the week, they add that total and that is what the child receives. Do whatever works for your family. The key is to be consistent. Establish a routine and stick to it. When I heard that TD Lab had created the Family Allowance app, I was very excited. I’d been keeping track of Bridget’s allowance in my head which hasn’t always been the most organized or efficient setup! The Family Allowance app is so much better. 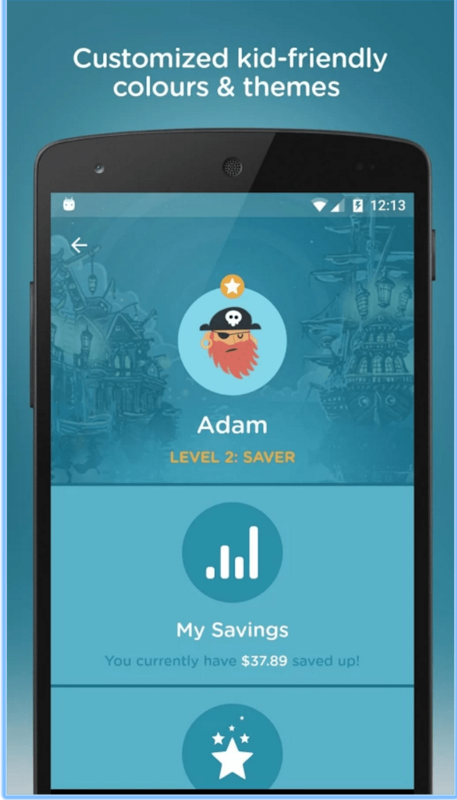 It’s a kid-friendly, financial education Android app that teaches kids about saving money. I’m glad that they put the time in develop this app because I think it will help a lot of families. For us, it’s help me to stay organized and opened the door to some interesting discussions about money with my daughter. Check out my eight reasons why I think the Family Allowance app is a must-have app for parents. 1. Easy to manage allowances. My phone is always with me and I use it to keep track of everything else in my life. Now, I’m able to keep track of Bridget’s allowance payments. I set up a profile for Bridget in the app, assigned her a flat weekly rate and the date it would be paid. The app tracks her savings so I can always see at a glance how much money she’s earned and when the next allowance payment is due. It helps to keep me organized. 2. Teaches kids the value of saving money. We visit the bank to deposit Bridget’s allowance once a week. 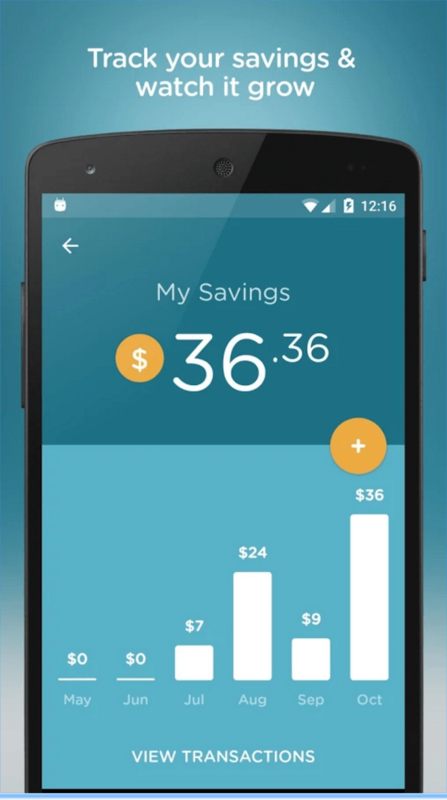 This way she is also learning how savings works and can watch her balance grow every week. The app shows her balance and she can also see it on her bank statement. I think it’s a valuable lesson to also learn how banking works! 3. Encourages goal setting. Before I was using the Family Allowance app, we hadn’t talked much about what Bridget was saving up for. She would ask for money now and then to buy a toy or game. She didn’t have any financial goals or something to look forward to. In the Family Allowance app, there is a Goal category where you can input what you are saving up for and how much it is. Bridget really wants her own laptop and said she wanted that to be her goal. I put in Laptop and then assigned a value to it. The one she wants is around $500 online so we set that as our target. At a glance right now, the app is telling me she has completed 18% of her goal to buy the laptop and she has 41 allowances left to reach her goal. She asks me weekly how close she is and I always open up the app to show her the progress. 4. Rewards kids for good financial decisions. 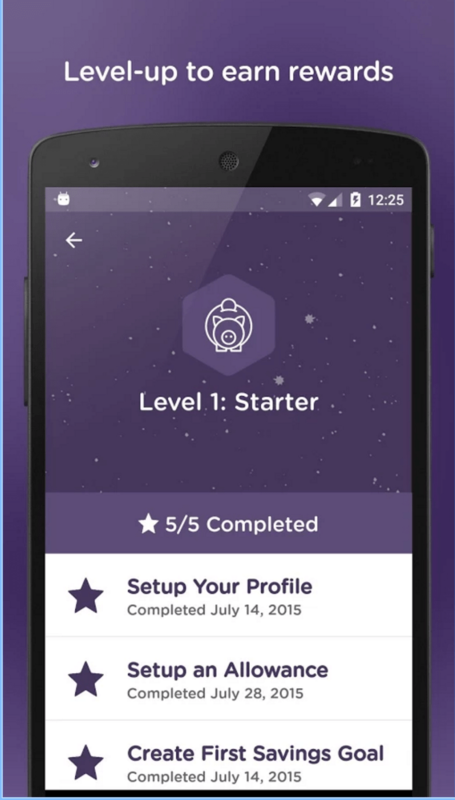 Kids can earn “stars” by saving money in the My Achievements section. She’s earned four stars so far and is almost out of the Level 1: Starter. One more star and she will be a Level 2: Saver. 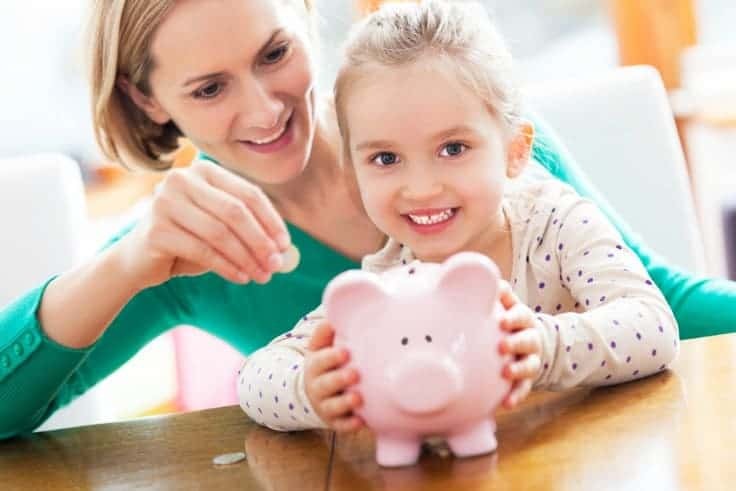 Kids earn stars by saving their money! 5. Assign chores. Bridget has a set amount of specific chores that must be completed to earn her keep. In the Chores section of the app, you can select from the list of existing chores or create a custom chore if it’s not on the list. Then you have the option to make it a one-time only chore or a repeating chore that needs to be completed each week. Select if you want the chore to be done daily, once a week or just on specific days. Lastly, you can assign a monetary value to the chore, if you wish. I kept mine at $0, but for those of you who pay per chore, this feature is pretty cool! As the chore is completed, you can check it off in the app. 6. Develops a consistent routine of good financial habits. Hard works pays off. Saving money pays off. These are both important financial lessons that Bridget is seeing first hand. I’m a firm believer in routine and know that by doing things over and over again, they will eventually stick. 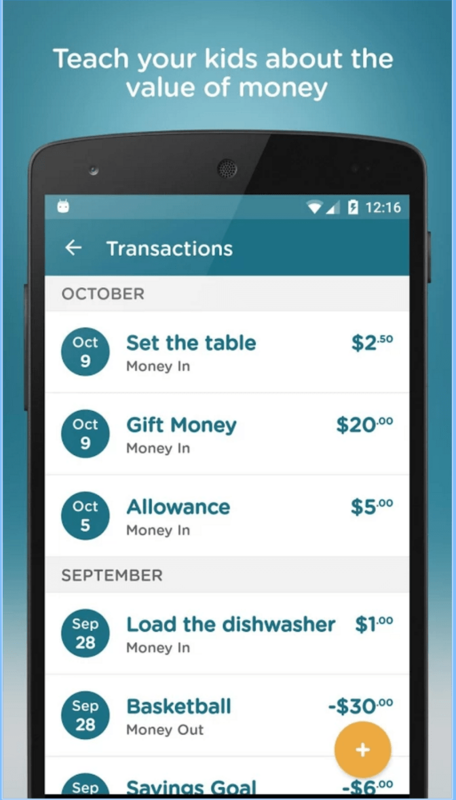 The Family Allowance app is a tool that gives us structure and keeps us on task. Bridget is seeing tangible results of her efforts as her balance grows. 7. Fosters conversation about financial literacy. Because we’re talking about saving money and setting goals, it opens up the doorway for more questions about how money works. The other day Bridget was asking me what MY financial goals were! I had to think for a second, but then we talked about how I was saving up for both her and sister’s post-secondary education. She said after she gets her laptop that her next goal will be to save up for her education too. Smart kid! 8. Ability to give feedback to help improve the app. I thought it was neat that TD Lab welcomes feedback about the app experience. With the feedback provided, they are actively working to improve and reshape the app so that it becomes an even more valuable tool. How often do you have that kind of a say with the apps you use? I’ve never seen it before until the Family Allowance app! To give feedback you simply shake your device to activate the feedback survey at any time. It can be for anything – feedback on an existing feature you wish was different, a completely new feature, an error or something you think could be set up a better. They are listening! I noticed that a few of the items I gave feedback about are now in the app! Download the Family Allowance app for free on your Android or iOS device. Then get started on managing chores, allowance and teaching your kids how to manage money in a fun, engaging way. What is your favourite feature of the Family Allowance app? I think this is a great idea for an app. I love that kids can “level up”. That will keep them motivated. OHHH this is such a GOOD idea! When my son gets his own little computer or iPod I will be adding this! What a great idea! I also think it is very important to teach children about financing early. I would like to see a mandatory high school course on financing across the country. This is an excellent idea for an app! I would love this, I think it would be easier for me to manage everything with something like this! This is a neat idea to help keep up with allowances. It’s amazing how nice apps can help us so much in today’s world. I need to be better and pay my kids allowance. Then maybe it would be easier to get them to do their chores. I love the easy to understand interface of this app. This would be an awesome way for the kids to track their earnings and savings. I agree with you that the key to teaching your kids about money and savings and allowances is consistency. Enforcing the lesson builds a habit which leads to a life time appreciation for savings. I would have loved an app like this when my kids were younger. It is a great way to teach them about money. This is a fantastic app idea. I will have to check it out for my kids. What an awesome app! I’m going to install it, I can’t wait to start using it. One of the best ways to set up kids for lifelong good money management habits is by giving them an allowance. This app looks like a great way for parents to help children with that important task. That app is awesome! My kids have been wanting to start getting an allowance. I need to check this out! That would be a cool thing to implement for our family. Looks like it would be helpful in learning responsibility. I absolutely love this app and so does Miss R. Before we go anywhere she ask to see my phone so she can look at the app and see how much money she has. This week she found the chore portion then added an amount of 89 cents to wash the car. She told me it was $89!